1968. The sunny seaside, girls in bikini, the pop-music festival, the self-immolation protest, and tanks on the streets of occupied Prague. 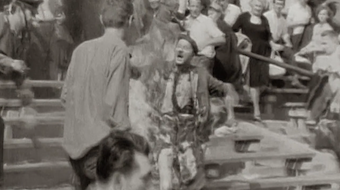 Based on the communist secret services archives and informant reports, this found-footage documentary on the invasion of Czechoslovakia by Soviet allies tells the story of a woman getting married to a man who went to war instead of their honeymoon. It is a patchwork reconstruction of the absurdity of the totalitarian country whose citizens at once invade their neighbour, print leaflets to sabotage the invasion, and dance the twist all night long. You've seen war documentaries from civilian journalists, reporters, and independent filmmakers. Now, for the first time, is a look at war from inside the military, filmed exclusively by Marine combat cameramen. For years, Miles Lagoze served in Afghanistan as a Combat Camera, shooting footage and editing videos for Marine Corps recruiting purposes. 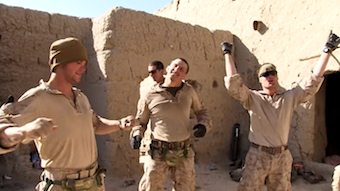 In this devastating film, Lagoze assembles his own footage and that of his fellow combat cameramen into a never-before-seen look at the daily life of Marines from the ultimate insider's point of view. More than a mere compilation of violence, the edit ingeniously repurposes the original footage to reveal the intensity and paradoxes of war in an age of ubiquitous cameras, when all soldiers can record themselves with helmet-cams and cellphones. Combat Obscura revels in the chasm separating civilian from military life and questions the psychological toll war exacts on all that it touches.